Double layer stretch merino fabric means this skirt is snug and fits beautifully, smoothing any undergarment lines. It has the same wide waist band as all our skirts, and measures 46cm waistband to hem. 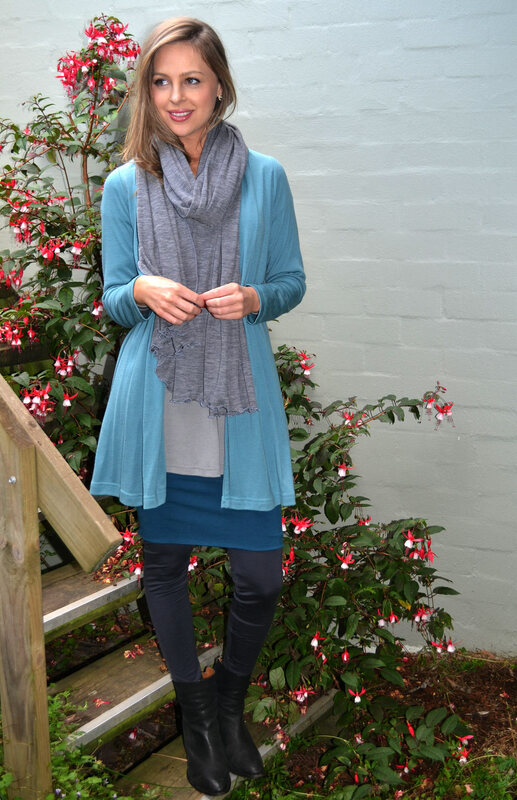 A great skirt all year round, but especially good in winter with our leggings underneath - SO warm!! This skirt is very fitted and it is double layer, we usually recommend going up one size - sometimes two depending on how fitted you want it to be... So if you usually wear a 10, we would say order a 12 in this style.